Donna Brauneker, formerly of Arlington Heights, was born on September 29, 1937, in Chicago, Illinois to Charles and Emily (nee Krakoske) Rimmer. 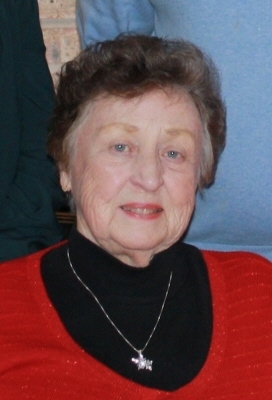 She died Saturday, March 23, 2019, at Northwestern Medicine Huntley Hospital. Mrs. Brauneker was a homemaker who worked as a secretary for Kenlee Hardware and Shell Chemical for six years, retiring in 1963. She was a former long-time member of St. Cecilia Catholic Church where she was a member of the Women's club and enjoyed making and displaying the Altar decorations. For pastimes, Donna enjoyed bowling and golf. She is survived by her husband of over 60 years, Robert Brauneker; her children Jeffrey (Cheryl) Brauneker, Janice (Joseph) Falat, and Lisa (Josef) Bucher, her grandchildren Nicole, Hailey, and Jacob Brauneker, Ashley, Stefani, and Michael Bucher, Justin, Jeremy, and Julia Falat. Donna was preceded in death by her parents. Visitation from 3:00 pm until 8:00 pm, Thursday, March 28, 2019, at Glueckert Funeral Home Ltd., 1520 North Arlington Heights Road, Arlington Heights, Illinois and from 9:00 am until time of Funeral Mass at 10:00 am, Friday, March 29, 2019, at St. Cecilia Catholic Church, 700 S. Meier Road, Mount Prospect, Illinois. Interment St. Michael the Archangel Cemetery, Palatine, Illinois. In lieu of flowers, memorials may be given to Stroke Out Cancer, 13118 Wexford Hollow Rd. N, Jacksonville, FL 32224, www.strokeoutcancer.org. "Email Address" would like to share the life celebration of Donna Jean Brauneker. Click on the "link" to go to share a favorite memory or leave a condolence message for the family.